A photographer spent eight hours a night, braving snow and fierce winds to capture these stunning images of the Northern Lights. 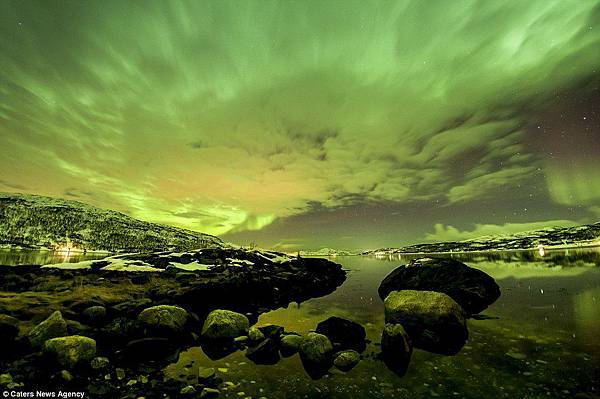 They were taken by 27-year-old Swiss Stefan Forster, during his time in Iceland, Greenland and Norway. Stefan, who has visited Iceland six times to photograph the stunning natural phenomena, braved fierce winds and minus 6 degrees to get perfect shots. 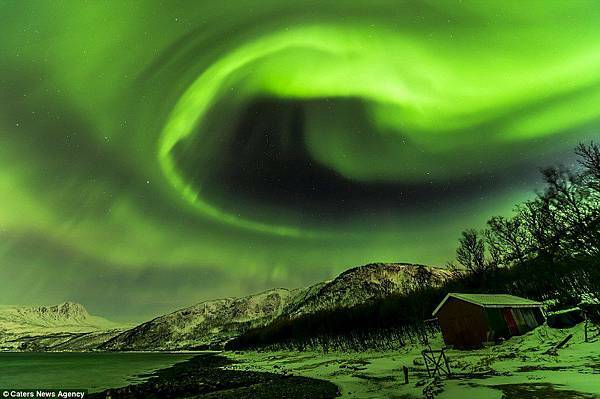 'Aurora borealis', the lights of the northern hemisphere, means 'dawn of the north'. 'Aurora australis' means 'dawn of the south'. In Roman myths, Aurora was the goddess of the dawn. \par Many cultural groups have legends about the lights. In medieval times, the occurrences of auroral displays were seen as harbingers of war or famine. The Maori of New Zealand shared a belief with many northern people of Europe and North America that the lights were reflections from torches or campfires. 下一篇： 桃園 學英文 │ 想保持年輕？少喝點酒吧！Drinking yourself senior? 2011: 桃園 看BBC學英文│[六分鐘英語] -- Pretty in pink ? / 紅粉佳人 ?